How do we deal with broken promises? How can artists work to enhance agency among participant audiences who are anonymous, migratory and in transition? 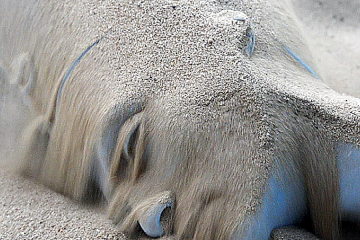 Can the museum become a space for Habermasian democratic dialogue under a state of exception? These are some of the questions that guided the project Emergencia  Agencia Emergente // Emergency  Emergent Agency by the Lui Velazquez collective, which was part of the Proyecto Cívico: Diálogos e Interrogantes (PCDI) public programming developed by Bill Kelly Jr. as part of the Proyecto Civico show curated by Lucia Sanroman and Ruth Estevez, at the Centro Cultural de Tijuana (CECUT) in the fall of 2008. Is it possible to create a discursive democracy, in the manner theorized by Jürgen Habermas, under the state of exception that Giorgio Agamben claims is the contemporary form of governance? 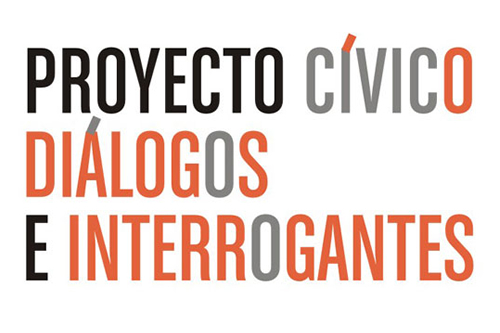 Our project, Emergencia aimed to investigate this question, which was posed by the organizers of PCDI, by focusing on the possibility of communication among agents left outside the infrastructure of communication, mediatic (private) and cultural ( public institutional), specifically, unrepresented youth on both sides of the border. The question of misrepresentation was central to this initiative; since the PCDI program was an excuse to exercise dialogue among citizens, or an invitation for citizens to exercise their right for public dialogue and representation. 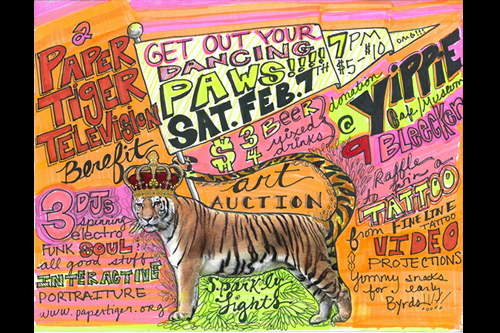 For decades, the goal of projects such as Paper Tiger Television (http://papertiger.org/) and Indymedia has been to realize the democratic promise of mass media by allowing disenfranchised groups to have access to the airwaves. Bulbo TV is a Tijuana based media collective whose mission uses a different approach, fostering communication and liaison between social/cultural groups alienated by their ways of living in order to gain a deeper understanding of their social realities. Bulbo was another of the groups who participated in PCDI. They are not specifically making claims at democratization such as PTTV, but similarly targeting various social groups and attempting to create better understanding between them. Yet in many ways the promises of media activism have failed to materialize. While today more people have access to publishing than ever thanks to blogs, social networking sites, photo and video sharing sites, there is still little improvement in political conditions thanks to this increased media production. Most media produced is personal, private and for entertainment purposes. For the last three years, mass media in Mexico has undergone unprecedented levels of privatization. An example of this was the Televisa Law, the unofficial name that a series of amendments to the Federal Telecommunications Law (LFT) Federal Law of Radio and Television (LFRT) of Mexico, published in the Official Gazette on April 11, 2006. This controversial law was approved in March 2006 by the whole House of Representatives and in a span of 7 minutes, without the prior reading, the text was voted unanimously, something unusual in the history of Mexico. The law was upheld by the Senate, “without changing a comma”, during the last year of the presidency of Vicente Fox and shortly before the general elections of 2006 . Vicente Fox could have banned the law for the statements made by the Ministry of Communications and Transport against it but decided to publicize it, and in fact, entered into forceful arguing that for democracy to prevail in the chambers, approval was necessary. The controversy is that, in view of its critics, the law enshrines deregulation of spectrum for digital duopoly formed by Mexican media group Televisa and TV Azteca. Senators who were in fact members of the LIX Legislature before the Supreme Court of the unconstitutionality of a Nation, argued that the so-called “Televisa Law” inhibits competition and promotes the power of the television duopoly. According to this law the digital frequency spectrum is given to private TV stations use, free of charge, a public good that belonged to the Mexican state. Opponents of this legislation agreed that this law would increase the control of television on the market blocking free frequencies for radio or television for educational or community purposes. For PCDI, our project Emergencia focused on the transmission of messages, as a most basic form of communication, as a means of facilitating engagement between various social groupings and the mass media. 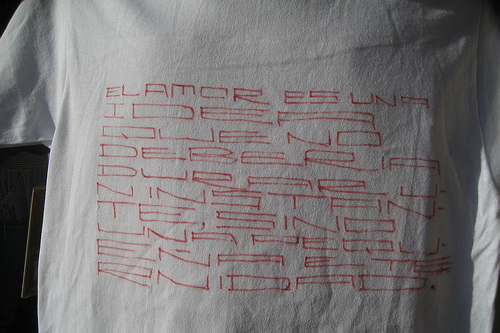 Emergencia can be seen as an entry into this network of conflict, a modulation of the flows of messages, not with the goal of creating communication or understanding between groups, but with the goal of allowing the messages to find a broader audience, opening the possibility that they might find their intended recipient. While we did not seek to create pure communication, we did seek to engage the passions of those involved by offering them a mass media platform for their voices. We also sought to impact the viewer on an affective level, in a way demonstrating the non-transparency of communication. We planned to solicit various groups for short messages they wanted to have broadcast, and then encode as many as possible into a short 20 second segment that we had negotiated with a spanish language television station in the San Diego. We first engaged with a group of homeless youth, through an expressive arts facilitator. Some of these youth are undocumented, sexually exploited, queer, transgender or do not fit any of these categories, but they must all remain anonymous, for their own safety. In this way, we hoped to offer these youth a space of reflection on what they might want to communicate through the mass media. Our contact at the station told us that they receive messages such as lost dog information nearly everyday, and they discard these. This was one of our initial inspirations. It is an example of how the mass media can maintain the state of exception, by choosing who’s emergency is worthy of broadcast, and who’s is worthy of broadcast a hundred times a day. By broadcasting these messages, we open the question of the mass media as a public service and who they should be serving. For the Habermasian space of discursive democracy to exist, there needs to be a space of pure communication. 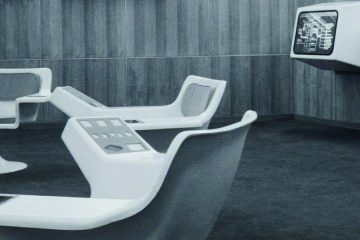 The mass media, much like the art museum, always already precludes such a space of pure communication, because such a space would have to exist without privilege or hierarchy, among equal speaking partners. In the mass media, just as in the system of the museum, there is always a gatekeeper, be it a director or curator, who not only chooses what messages are to be included in the communication, but who sets the very terms, questions and focus of the dialog from the outset. Given the years of work that are required to become a television network producer or a museum curator, there is no pure communication here, because the participants are not equals, and are subject to pleasing the hierarchy. 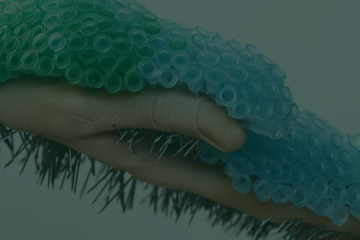 Our project critiques this idea of discursive democracy by providing a service to the groups we engage, without attempting to reproduce the rhetoric of democracy that only reproduces the state of exception. 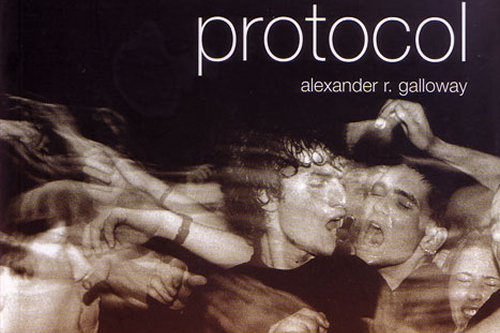 In his book Protocol, published in 2004, Alexander Galloway examines the politics of information infrastructure, asking “how control exists after decentralization” and proposing protocol as the answer. He proposes that the way control societies operate is through a decentralized “protocol [which] not only installs control into a terrain that on its surface appears actively to resist it, but in fact goes further to create the most highly controlled mass media hitherto known.” (emphasis in original) Not only does the mass media serve to maintain the lack of democracy, it does so by presenting itself as a constituent part of democracy. The Lui Velazquez collective was invited to participate in PCDI and asked to find a group of people outside of our own collective with whom we should facilitate a dialog. From the beginning, we had a concern about tokenizing a group of people by choosing a particular group and trying to offer them a service through our project. We were aware of the problematic nature of project, specifically under the critical arguments developed by theorist since the mid nineties. 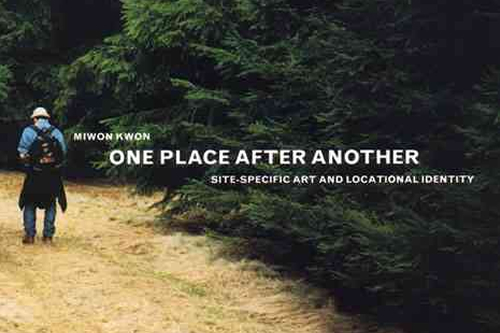 Miwon Kwon recapitulates this discussion in her book, One Place After Another: Site-Specific Art and Locational Identity and brings up the controversy in the collaborative interaction between artist and local community groups. Kwon points to Grant Kester‘s argument . that cultural mobilization of social “usefulness” of art (foundational to community-based art) and the rhetoric that accompanies it need to be understood within what he calls the “moral economy of capitalism” and the history of liberal urban reform. “This outpouring of compassion and concern over “community”-imagined by many critical practitioners as a means to greater social justice and inclusive political and cultural processes-“must be understood in relation to the successful assimilation in the US of conservative arguments about underlying causes of poverty, social and cultural inequity, and disenfranchisement”. As a result, we decided to work initially with a group of anonymous youth, through the medium of an expressive arts therapy facilitator, Jennifer Stanley. The youth all homeless for various reasons but had to remain anonymous for their safety and because of the restrictions of the institution at which she interacted with them. 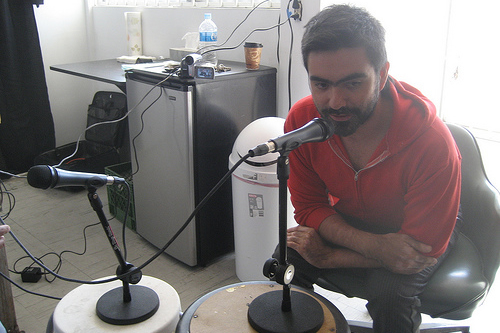 Around the time of our offer to participate in PCDI, the collective was also in conversation with a television station about producing a short series of informational television segments, based on a performance of one collective member, Felipe Zuniga, which the station had broadcast previously. The group with whom the collective worked represented a challenge: youth living on the streets. This population can be seen as a parallel to the situation of immigrants: the condition of bare life, under which the individual is stripped of universal human rights and turned into a subject totally under state power. Homeless youth have a very problematic condition especially when we look at the restriction of their freedom. In the first place, because of their lack a of legal guardian, the state prevents the possibilities of the teens to have visibility before the law. To prevent exploitative practices employed by media, the teens are prevented from being portrayed by media. This restriction of the use of the image and speech generates a very harmful effect: the disappearance of the individual. So here legal protection applies as a restriction that produces erasure. The individuals lose the opportunity of factual presence and are pushed into an anonymous condition that increases their fragility and invisibility . I would like to give a shoutout to my brother michael. Hi I’m X X. I would like to encourage to play football. Our collective then made it our task to try various means of broadcasting these messages to a broader public, to try to create resonance with anyone who may be receptive. 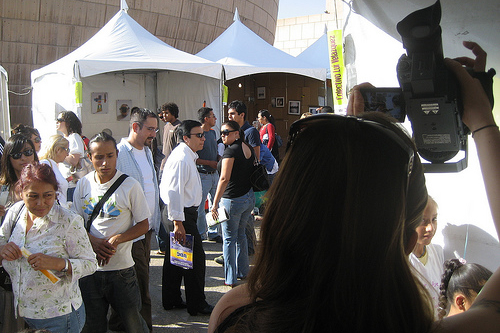 We used three platforms, video, radio and t-shirts a public art fair. To try to begin to create a dialog, we facilitated a video production workshop in professor Claudia Algara’s new genres class at the Autonomous University of Baja California (UABC). We explained the project and gave the students the original messages from the original group of youth and asked them to create responses to the messages using video. We explained that the original group had to remain anonymous, and so they should also try to make their videos under the same restriction, without showing their faces or voices . The students made a series of videos during the workshop, around school and with available materials. The students were also informed that the videos would hopefully become the content of the Univision broadcast. Our next attempt to distribute the original messages of the youth took place at Entijuanarte, an annual art fair held in the courtyard of CECUT. We were invited to participate by organizing a booth as part of our role in PCDI. At our booth, we played the videos produced by the UABC students and allowed visitors to make t-shirts in response to the original messages of the youth. 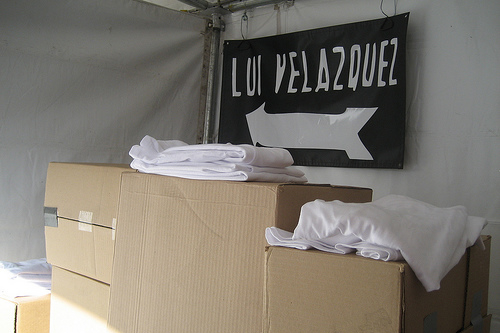 We supplied blank t-shirts with the Lui Velazquez name on the back as well as the name of the project, fabric markers and a bowl with small slips containing the original messages. We encouraged youth attending the art fair to read the messages, think of a response and make a t-shirt of their response. In this way we attempted to engage youth to consider participating in the dialog and to engage the public at the art fair to become an audience for the dialog as well. With the edited videos, we went back to the television station. Yet, the producer was not happy with the content of the videos. In particular, one video was made in response to a youth who said “I HAVE NOTHING TO SAY.” The video depicted two young women, students in the media art class at UABC, wearing black plastic bags over their heads, breathing silently. 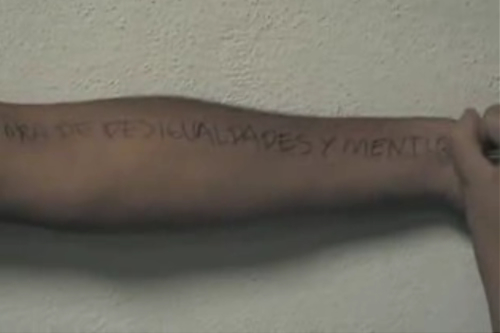 Given the context of violence in Tijuana and the daily stories of victims found dead with bags over their heads, the Univision producer found the videos objectionable. Ultimately, we were unable to broadcast any of the videos or the messages on Univision. In a way, this could be seen as breaking our original promise to the youths who wrote the original messages. 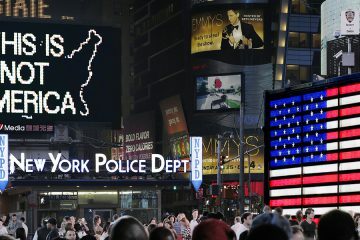 Yet we tried as best we could to disseminate the messages in many other ways. 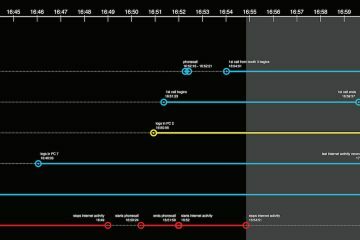 Our last act of transmission (before this article!) was at the presentation of projects for PCDI at CECUT. We discussed the project in the museum, in front of a public audience, and displayed many of the original messages. In an attempt to deepen the dialog, we wanted to go back to the original group of youth who wrote the messages and let them know how people had seen the messages. Yet when we asked the expressive art therapy facilitator, we found out that all of the youth had left the institution at which she met them. This led us to consider the success of our project and the ways in which it may have been effective or not. When considering the question of how artists can enhance agency for political actors who may be anonymous, transitory or in transition or becoming, perhaps one answer is the notion of scaffolding. For our project, given our limited resources and limited time to accomplish the project, we did not create a long lasting infrastructure for political engagement. Yet what we did was to create a light scaffolding, a temporary infrastructure, a prototype for testing out a form of communication or engagement. Perhaps given the rapidly shifting social conditions of the state of exception and disaster capitalism, building light scaffolding makes more sense than dedicating years to an infrastructure of political action. 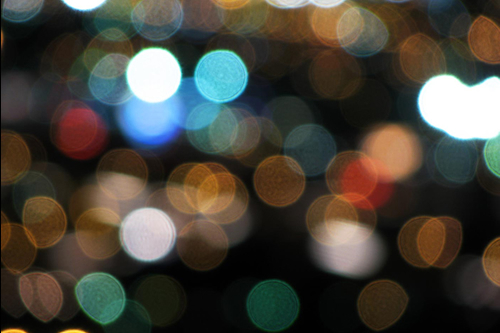 When not only the conditions are changing but also the subjects of political action are, a light structure can be more flexible, allowing rapid changes to a plan of action. In our case, the scaffolding was the project Emergencia, facilitated by our collective. Within this scaffolding, various groups of youth were invited to engage in a consideration of politics, media and communication. Neighborhood Public Radio (NPR) itself can be seen as an example of this kind of scaffolding, in that they use small, mobile, temporary broadcasts for each of their projects and as such have evaded the large fines that the FCC has levied on many other unlicensed broadcasters. The possibility for political engagement becomes a question of scale. Along the lines of thought of micropolitics or molecular revolution from Deleuze and Guattari, daily acts begin to take precedence here over moments of massive social upheaval or long term social movements. When asking how we can empower political agents whose identities are in flux, the notion of relying on laws or universal human rights begins to break down. With groups of people who do not have fixed identities, the kind of linguistic fixity and specificity required by laws and declarations of rights is incompatible. As such, movements for legislative gains are incompatible with a will to improve the conditions of communities without names, communities without definition, under the state of exception. In the second day of media workshops at Lui Velazquez with the students from UABC, Ricardo Dominguez elaborated on the relationship between communication and democracy. Speaking of the origins of democracy in Greece, Dominguez elaborated a genealogy of democracy stemming from theater and tragedy. Yet, he offered another possibility, saying that if tragedy can be seen as the origin of democracy and the will to pure communication, perhaps comedy can be seen as another form of communication. What is important here, beyond comedy specifically, is the notion of another kind of communication. Perhaps when artists and curators consider how to engage in politics in the space of the museum, another kind of communication outside of pure democratic dialog is necessary. 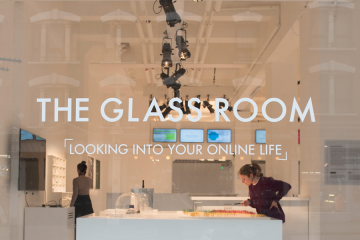 Other forms of communication such as affective communication, or communication allowing for uncertainty and ambiguity, may be useful ways of engaging publics in political action through museums. 47 senators of the LIX Legislature, brought on May 4, 2006 a constitutional dispute with the Supreme Court against the Nation’s Laws Radio-Television and Telecommunications, in order to be declared unconstitutional, in whole or in part, arguing that they were in violation of Articles 1, 25, 27 and 28 of the Constitution of the United States of Mexico.The Supreme Court declared unconstitutional articles 6, paragraphs 16 and parts of the texts of the law, and it was credited legislative omissions. The auction process for concessions and the automatic endorsement of them were removed from the law. This interest can be traced back in a previous effort were the collective tried to establish another temporal dialogic platform in the US developed at the residencia at LACE, Street address series, La Radio Cubo, which consisted in the production of one day workshop and radio transmission with homeless youth in Los Angeles under the umbrella of the infrastructure of a shelter. The project had the aim to offer air time on the web as well as in radio frequency. Anulan corazón de “Ley Televisa”, BBCmundo.com 6 giugno2007.